SCHEELS and American Heroes Outdoors, a TV program based out of Fargo, ND that documents stories of service men and women, have teamed up to recognize and honor hometown heroes from communities across the Midwest. David Morse, American Heroes Outdoors CEO and former SCHEELS associate, is the West Fargo, ND man behind the mission. After serving in Iraq, he began organizing fishing and hunting trips for Veterans to bring them into the outdoors and help with the healing process. So far, Morse and his team have facilitated nearly 100 trips. Below are just a few of the Heroes that have been featured in 2018 on Hometown Heroes presented by SCHEELS. 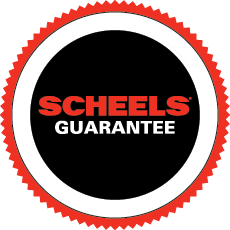 Thank you for your service from all of us at SCHEELS!